"It’s clear that new treatments and therapeutic approaches are desperately needed." This year we created a new funding stream for established senior scientists and clinicians with a proven track record of success, and the research supported has the potential for high-impact results. Dr de Boer, can you explain for our supporters what your research focuses on? Acute leukaemia in infants and about 10% of adults is caused by an alteration that creates a new mutated protein; called MLL-fusion protein. New treatments are urgently needed for these patients as this mutation is associated with very poor outcomes. The fusion protein is an ideal target for treatment as deactivating the protein blocks the progression of leukaemia in the patient. However, in most cases we are unable to do so because the MLL fusion protein is currently “undruggable,” – we simply can’t target effectively with the treatments we currently have available. In my laboratory we are focused on developing treatments that target the MLL fusion oncoproteins. 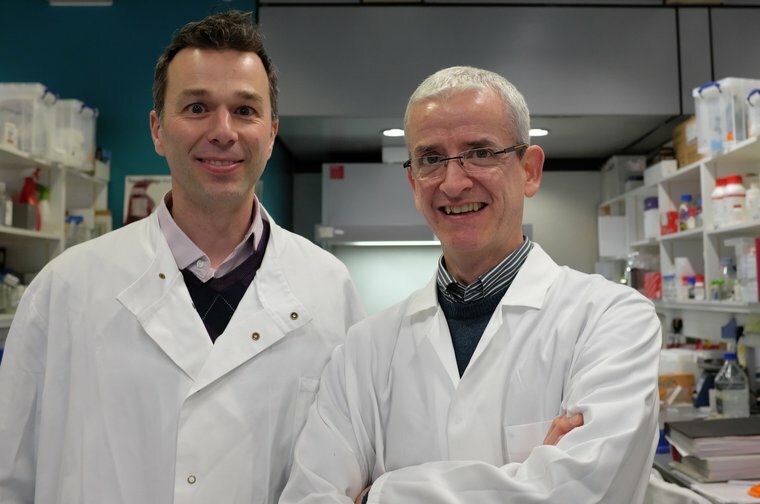 We have developed a screening platform that will identify drugs with the ability to induce the breakdown and destroy the MLL fusion protein: it is an incredibly exciting breakthrough, and could be a game changer in the treatment of this disease. How do you think your research will affect or impact leukaemia patients in the future? Similar treatments for other leukaemias have been discovered that have had a dramatic result in treating that cancer. For example, Promyelocytic Leukaemia (APL), which relies on the PML/RARA fusion protein to grow and thrive, used to have a very poor outlook for patients. But now up to 90% of APL patients are cured because researchers have found a way to directly inactivate this PML-RARA oncoprotein. Our previous studies have shown that targeting MLL-fusions resulted in the leukaemic cells being unable to self-renew and spread, leading to the remission of the disease. Given the strong evidence that inactivating these fusion proteins can give long term survival in patients suffering from acute leukaemia, it led us to investigate if this approach could be extended to shutting down the MLL fusion proteins through specific drugs. What inspired you to research this particular aspect of leukaemia? This specific leukaemia (Mixed Lineage Leukaemia, or MLL) currently has a very poor clinical outcome for patients and it’s clear that new treatments and therapeutic approaches are desperately needed. This award from Leuka will help us to generate the data needed to translate this drug discovery from the lab into a clinical trial with patients. What inspired you to apply for a Leuka grant? Leuka is a charity that is focused on translating science into real patient benefits. This is something we are trying to achieve within this project: what really keeps us motivated are the patients. We work very hard to discover new treatments with better outcomes for them and we focus on both improving the effectiveness of the treatments (to cure more patients) and reducing the side effects of the treatments (to give a better quality of life after leukaemia treatment). Any final words for our supporters? A sincere ‘thank you’! We visualize that by the end of this grant we will be ready to initiate a clinical trial that would help the patients with this horrible disease and we would like you to know about our work and that we appreciate your support that helps us to keep going. Everybody who donates makes a really big contribution, and with your help we can get a new drug into the clinic that gives hope to people who don’t have any. Help us continue to fund amazing research like this, which will help us move towards a new generation of improved leukaemia treatments for patients: donate today.